Greg Martin is a senior executive whose work has spanned a wide range of industries including consumer packaged goods, education, healthcare, construction, adventure tourism, and martial arts. With a breadth of experience in business, Greg has worked his way through the organizational ranks from casual part-time work, to management and executive responsibilities including CEO and COO. Passionate about performance improvement and executing successful business strategies, Greg’s purpose is to serve, inspire and empower others. 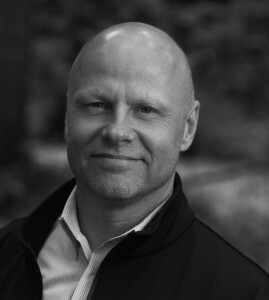 Greg holds an MBA from Royal Roads University and is the co-founder of Mind Body Leadership. MBL develops adults and youth into masterful leaders through training that enables the transformative leap from surviving and coping to leading and influencing. Offering customized leadership programs for executives, organizations, entrepreneurs and youth groups, training creates physical, intellectual and emotional intelligence-based outcomes. With black belt rankings in Aikido and Okinawan Karate, and +20 years’ experience as a student and instructor, Greg is co-founder and chief instructor at Integrity Arts, a school where leadership is learned through martial practice. Instruction is focused on training and techniques that are simple, practical and effective, promoting the discipline that develops self-awareness, self-control, and self-leadership. ©2019 Where the Head Goes. Website by WildFire Marketing.